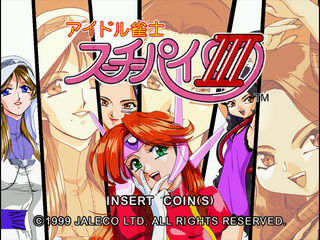 Idol Janshi Suchie-Pai III (アイドル雀士スーチーパイ III) is a mahjong game developed by Jaleco for the Sega NAOMI arcade platform. It is part of Jaleco's long-running Idol Janshi Suchie-Pai series of games. The game also saw releases on the PC, PlayStation Portable and Nintendo DS.